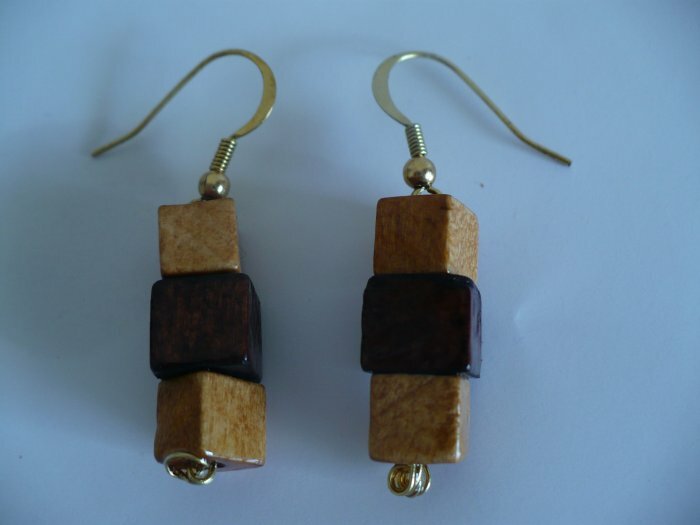 These Earrings are about 1 inch long they consist of 3 cubed shaped wooden beads on each side. The beads are made of white pine and colored with wood stain. The ear wires are gold plated brass.